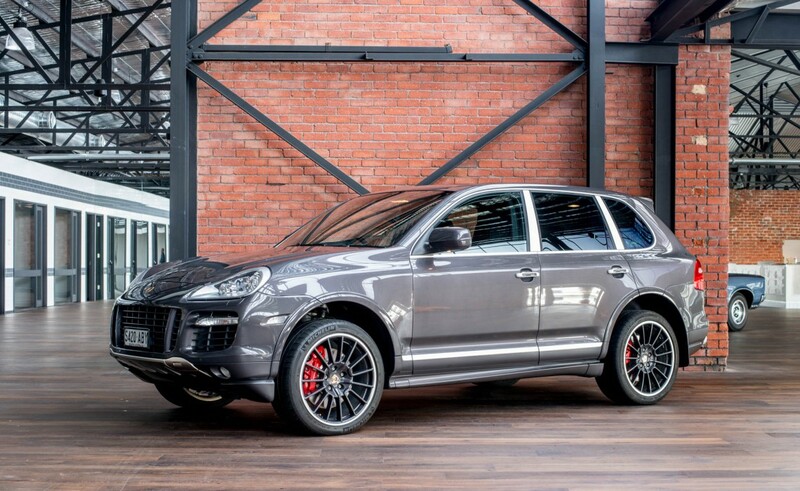 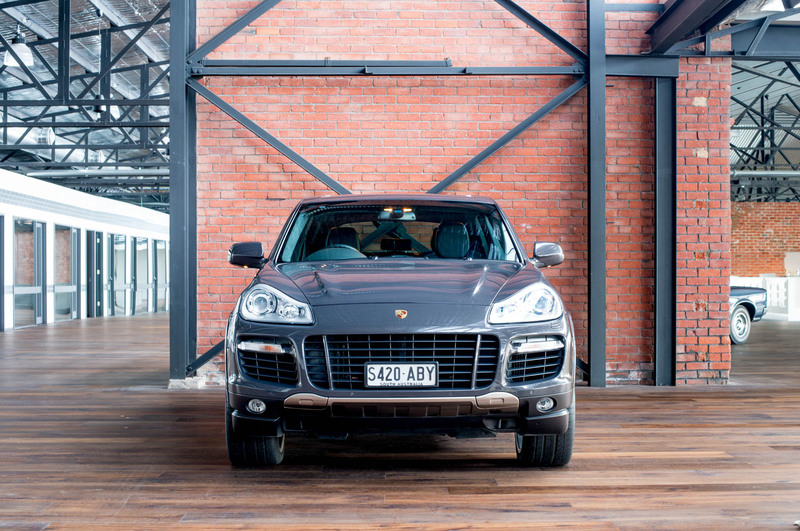 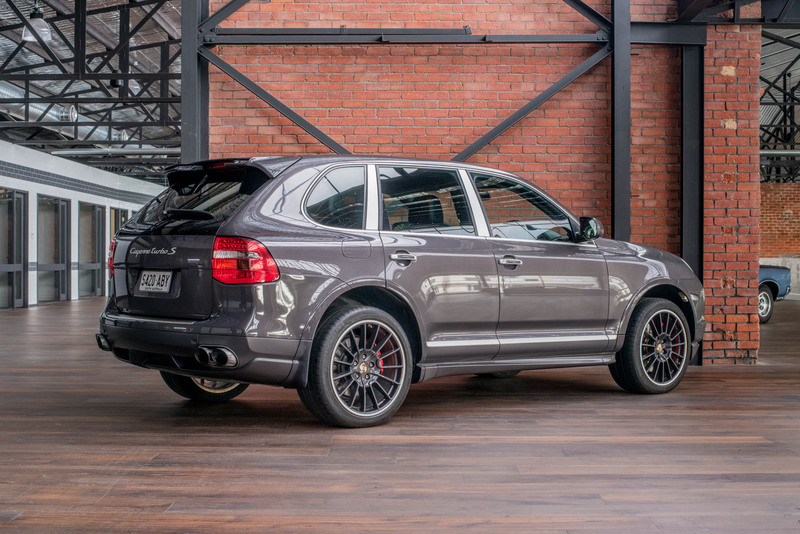 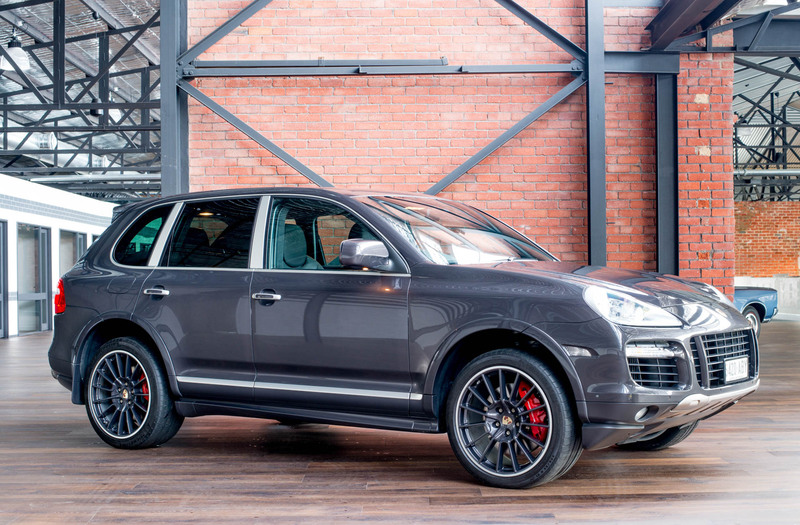 The highest performance Porsche SUV - 0-100km/h in 4.8 seconds - a twin turbo V8 with over 400kW (550bhp) and 750nM of torque. 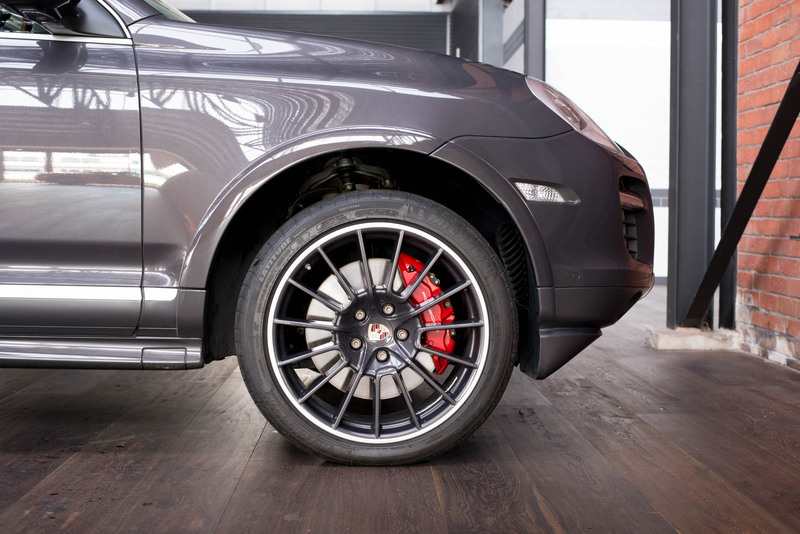 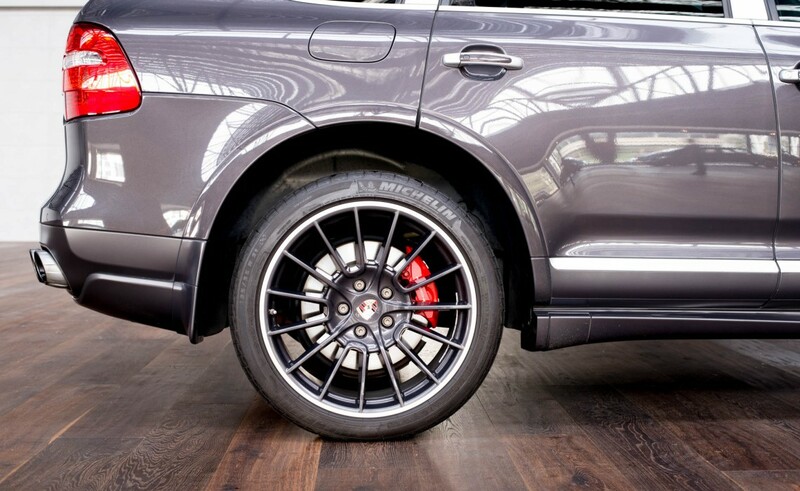 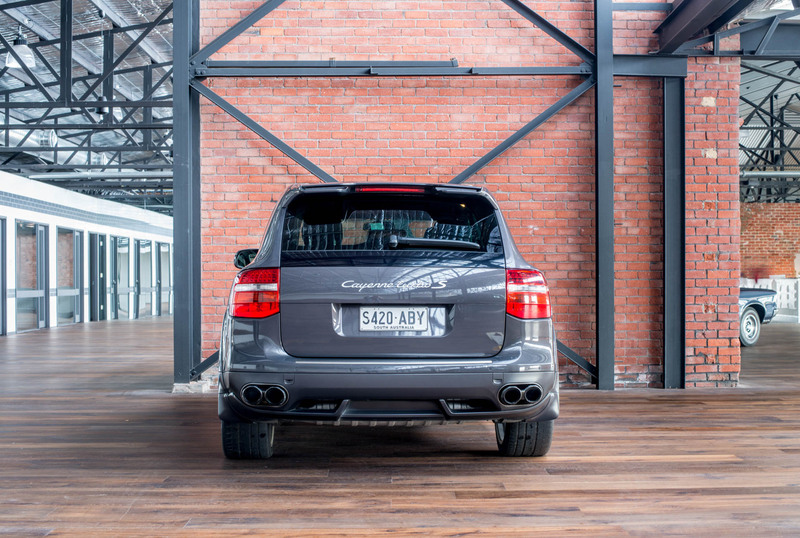 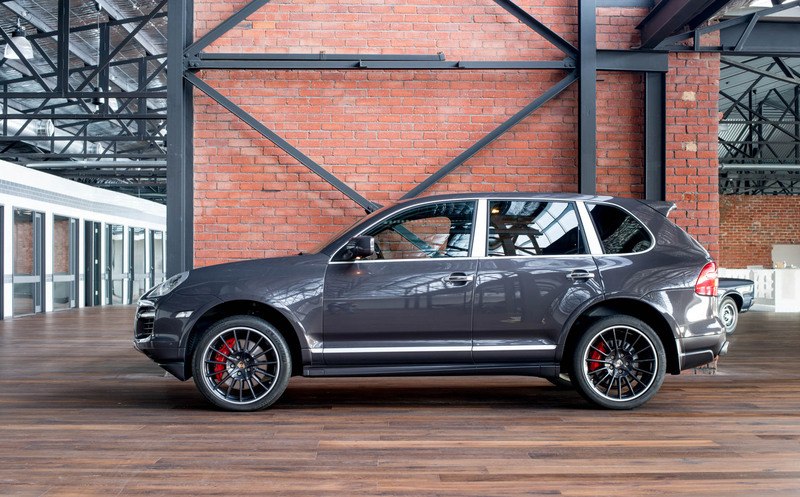 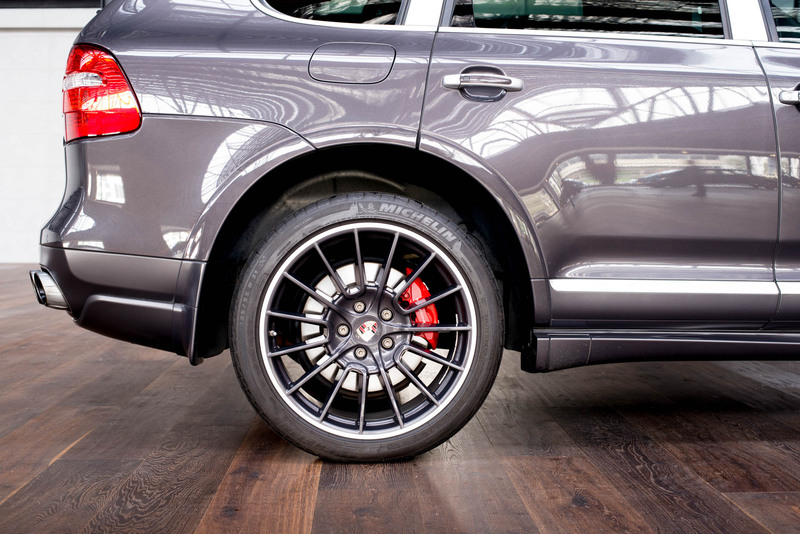 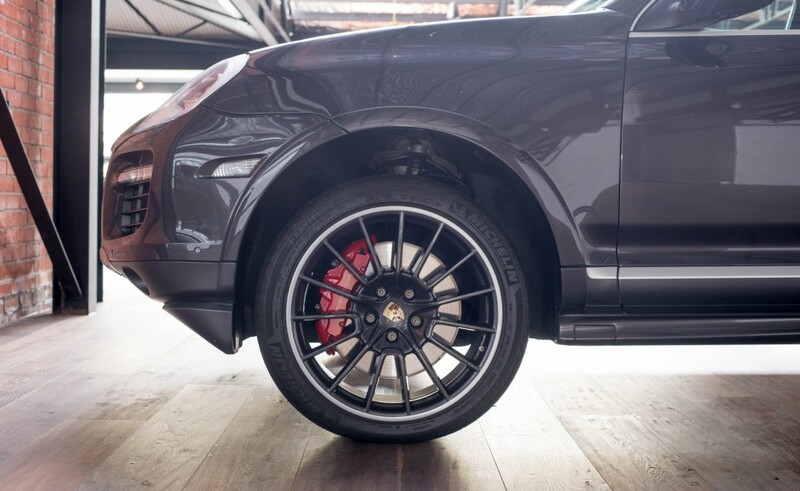 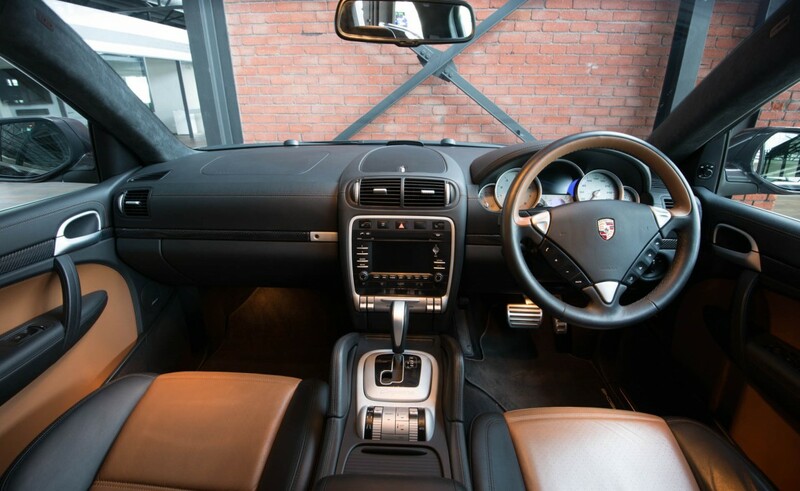 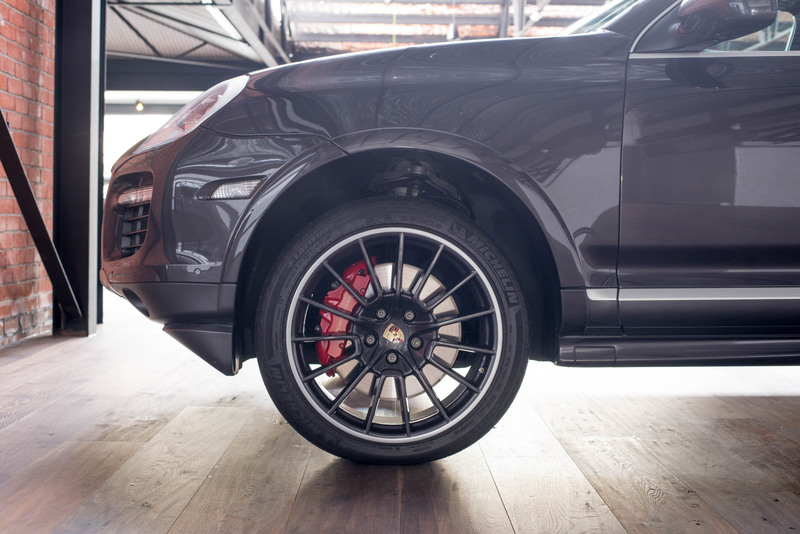 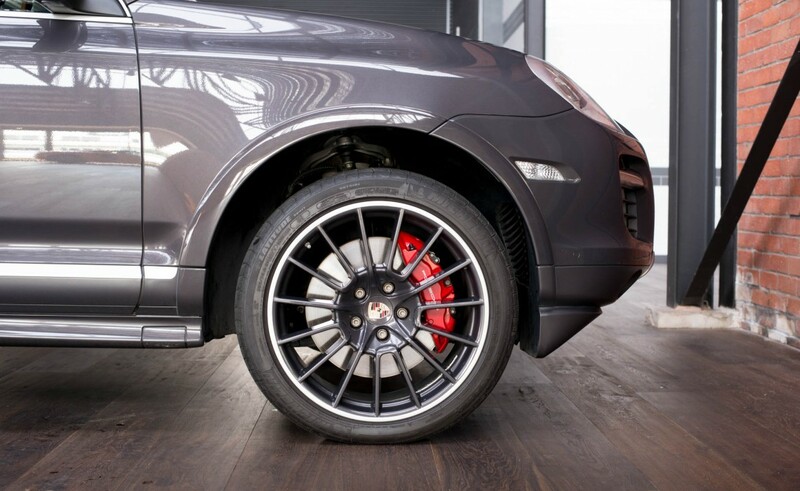 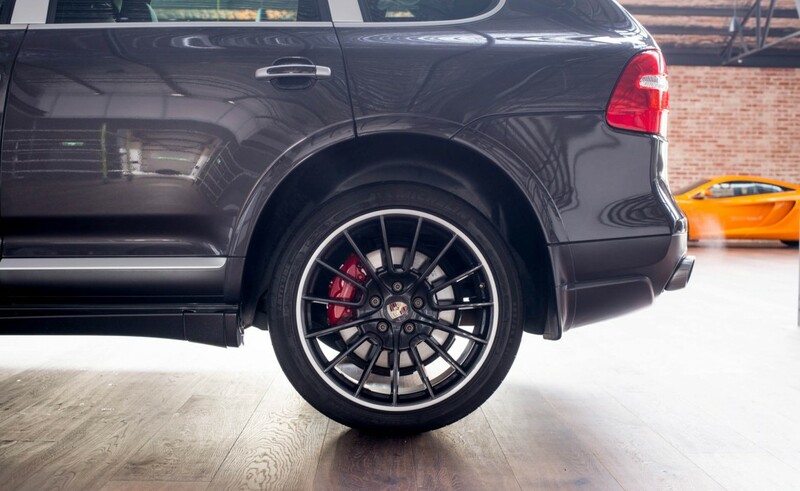 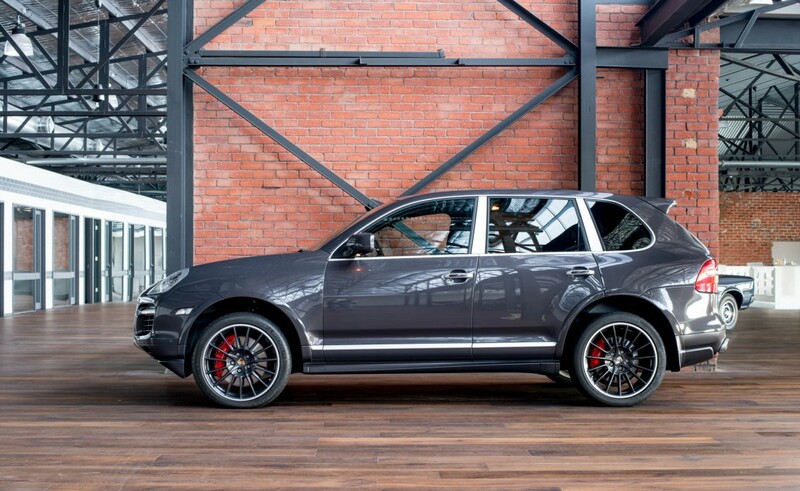 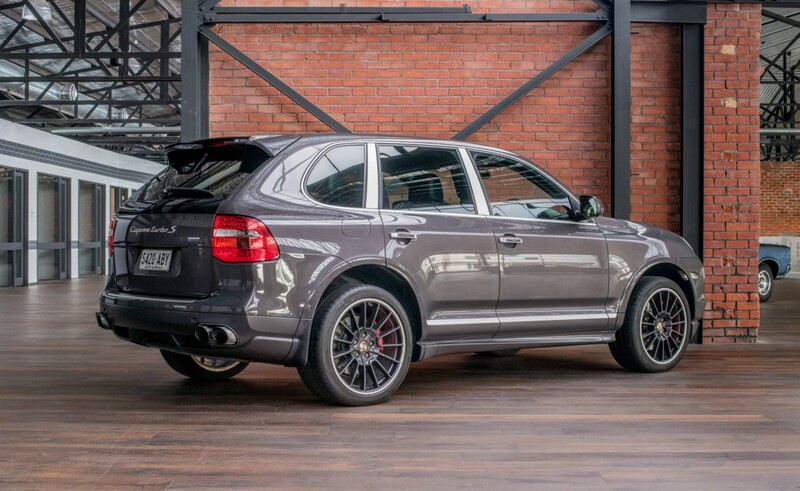 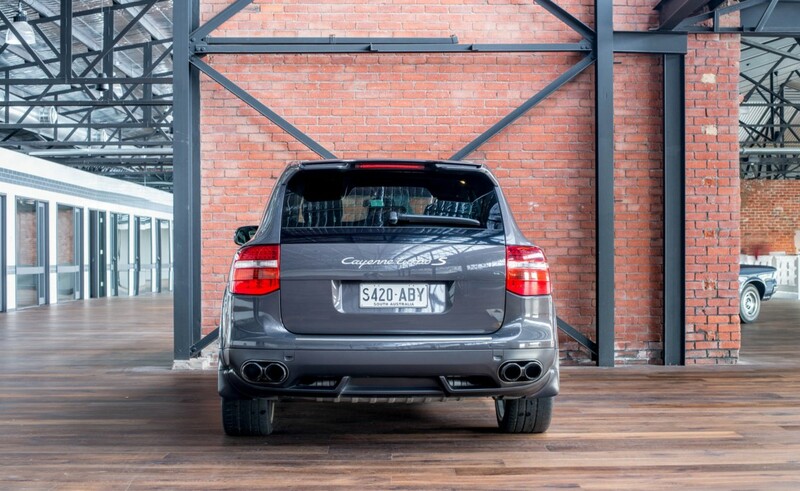 Features on this top of the range Cayenne include air suspension, self-leveling and ride-height control, Porsche Active Stability Management (PASM) - combined with Porsche Dynamic Chassis Control (PDCC) and Servotronic speed-sensitive variable power steering - these features allow the driver to enjoy the additional horsepower. 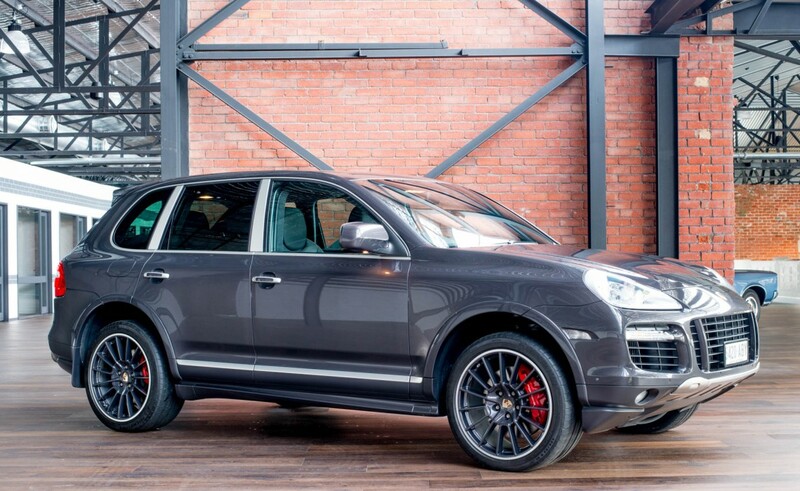 This is an all wheel drive SUV with power distributed front 38% and rear 62% to deliver superb handling. 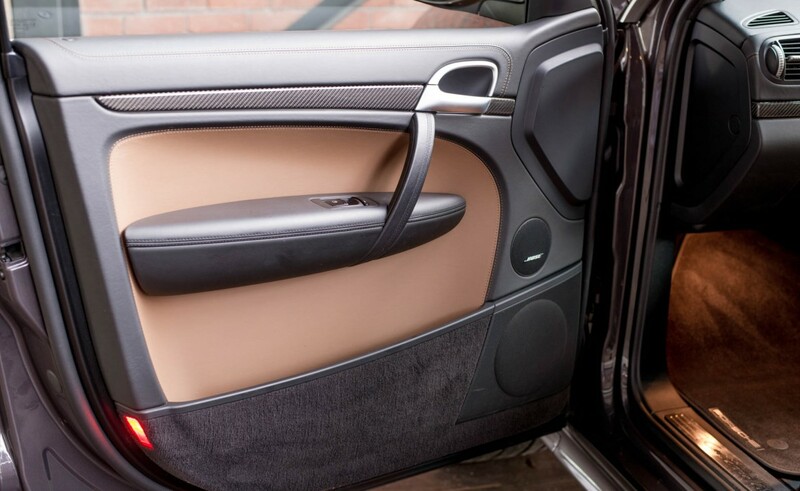 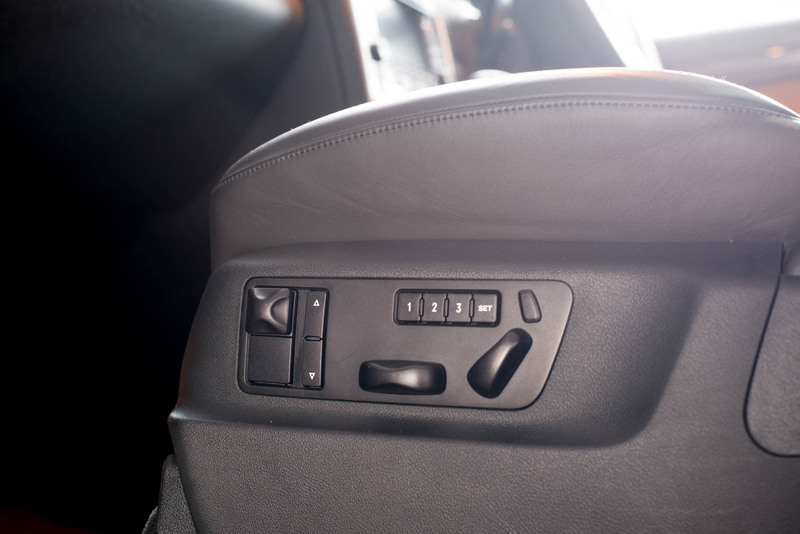 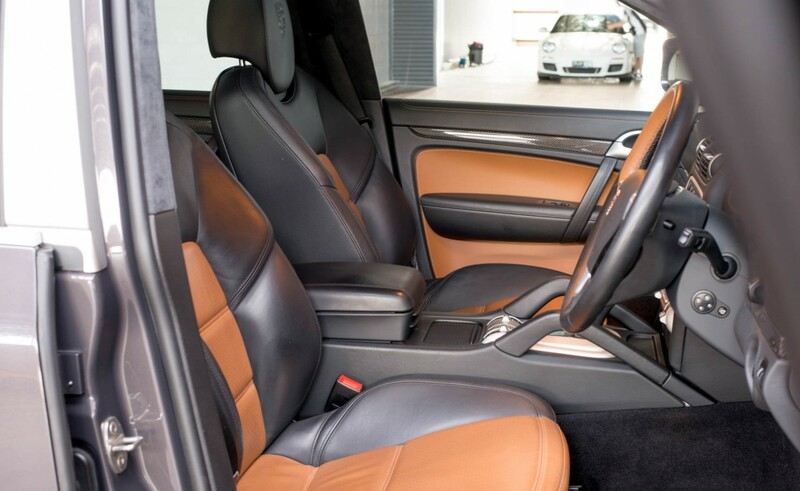 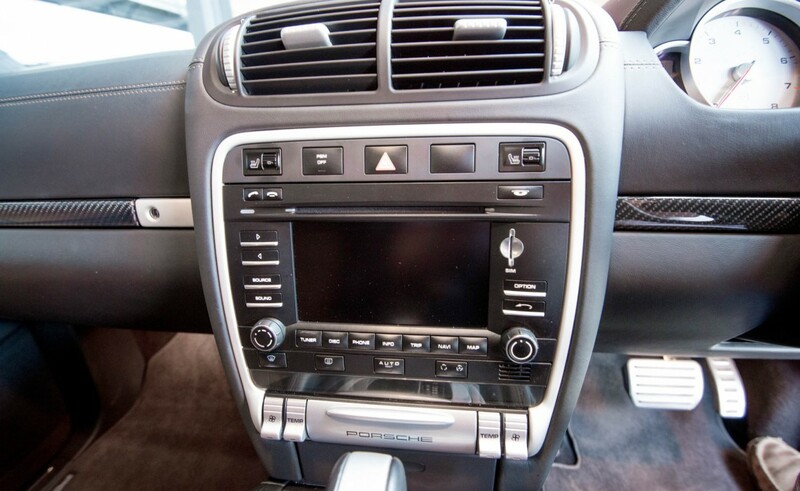 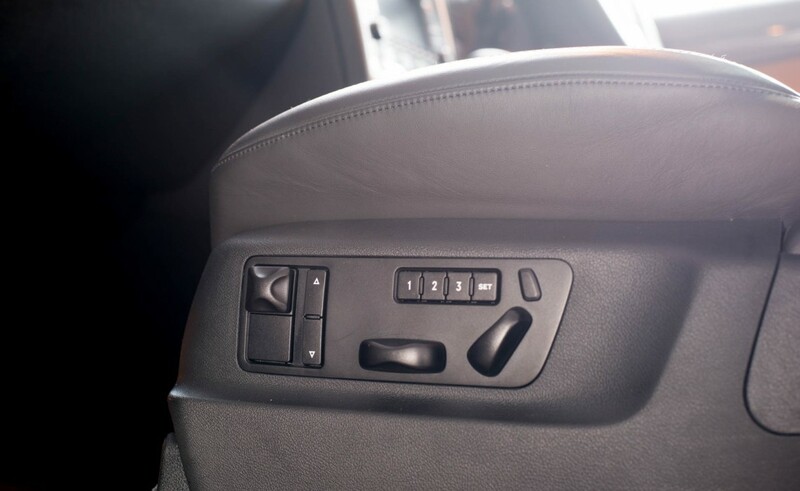 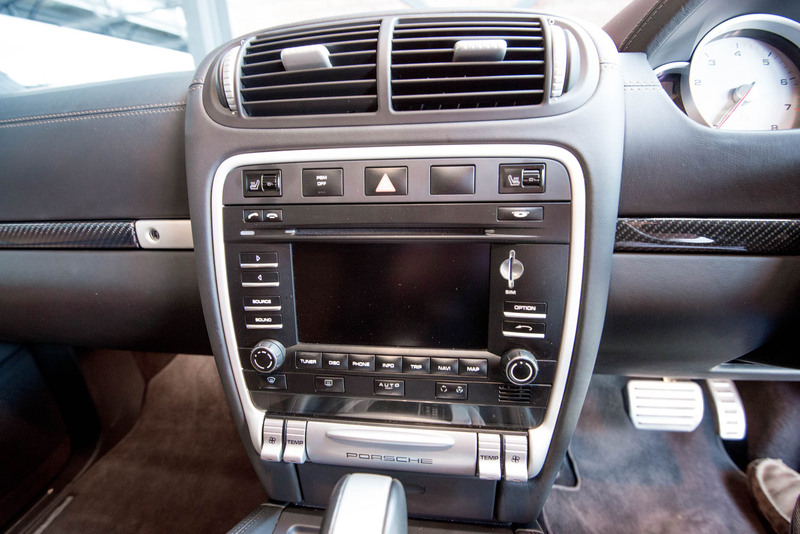 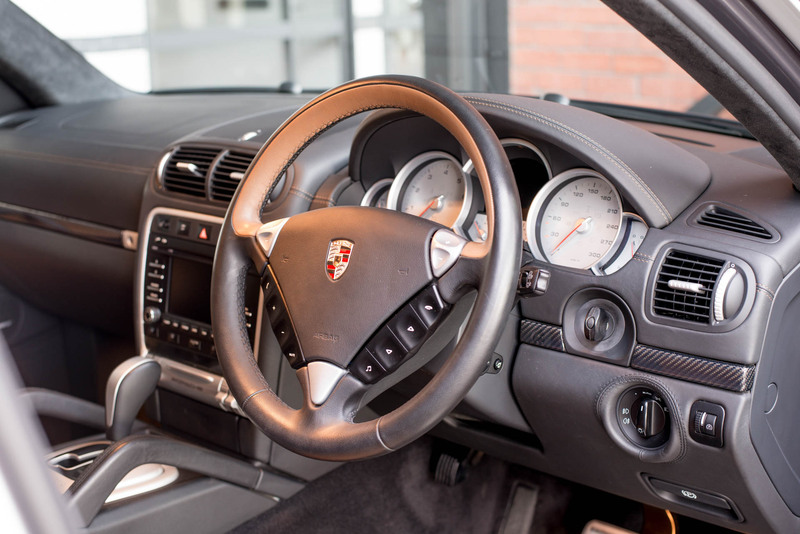 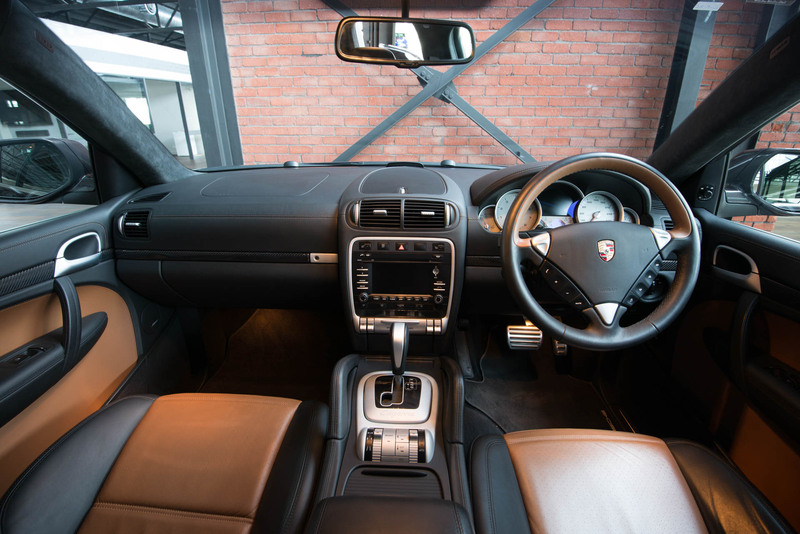 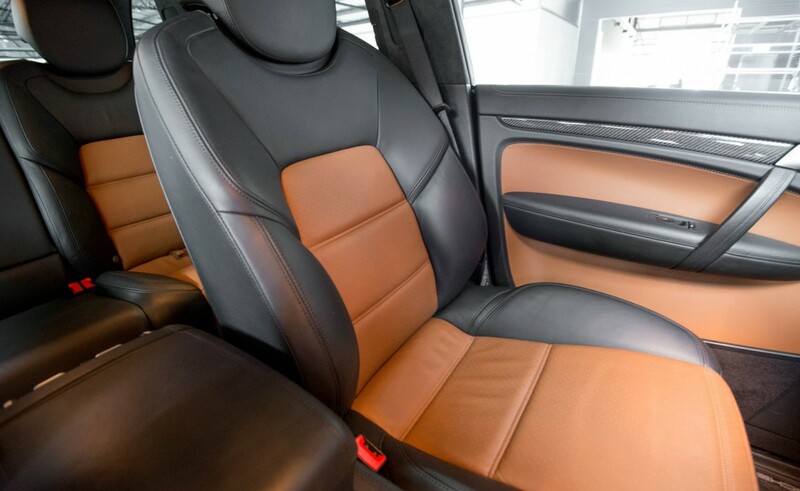 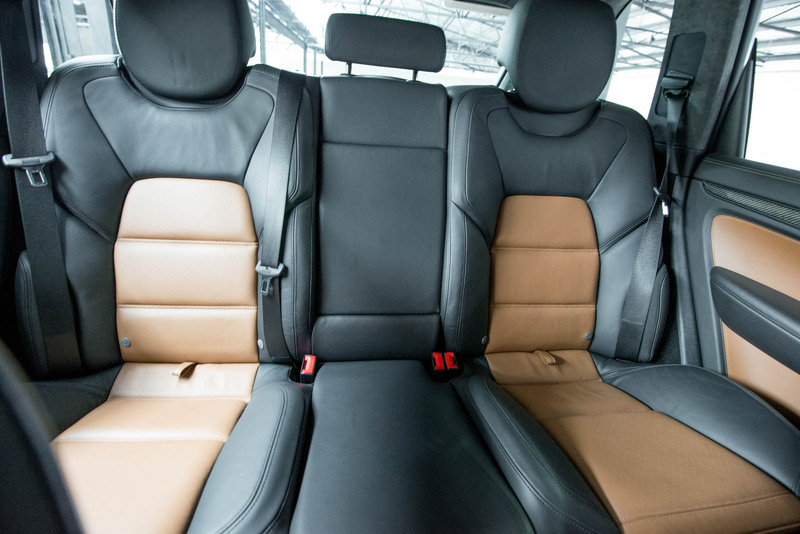 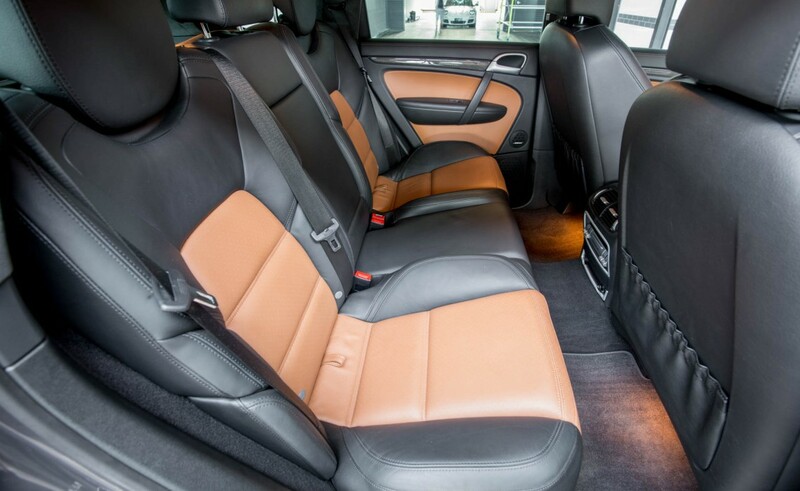 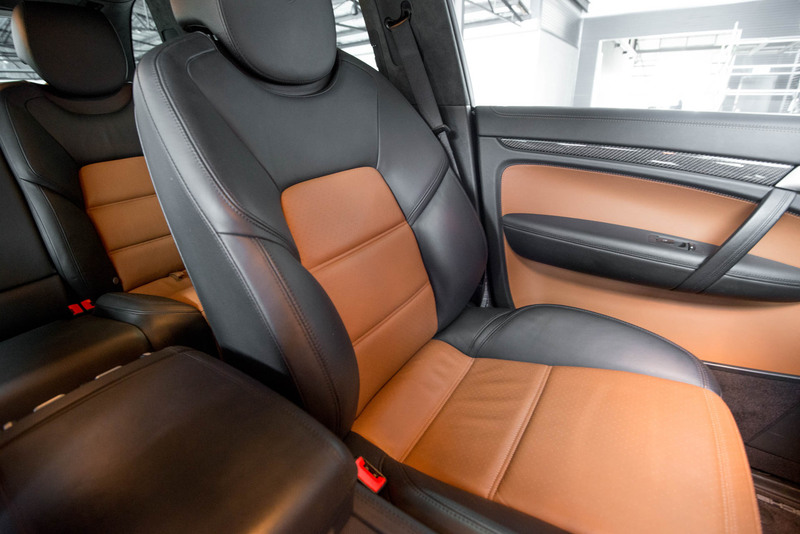 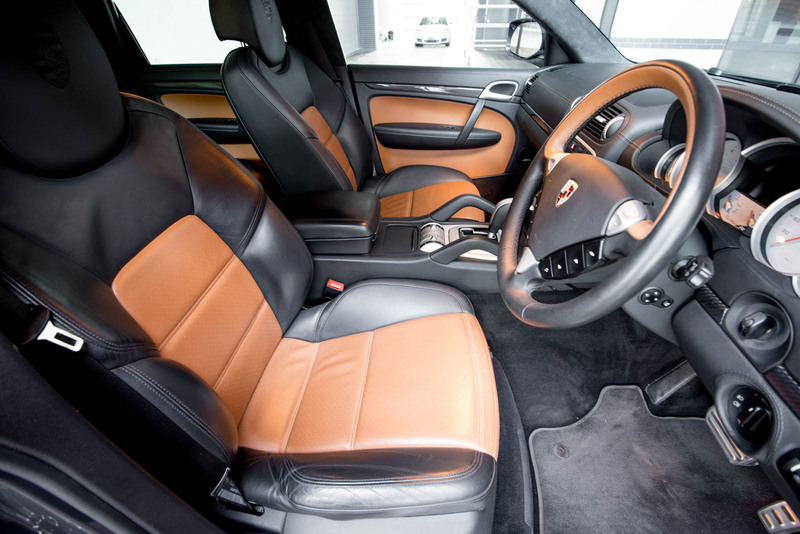 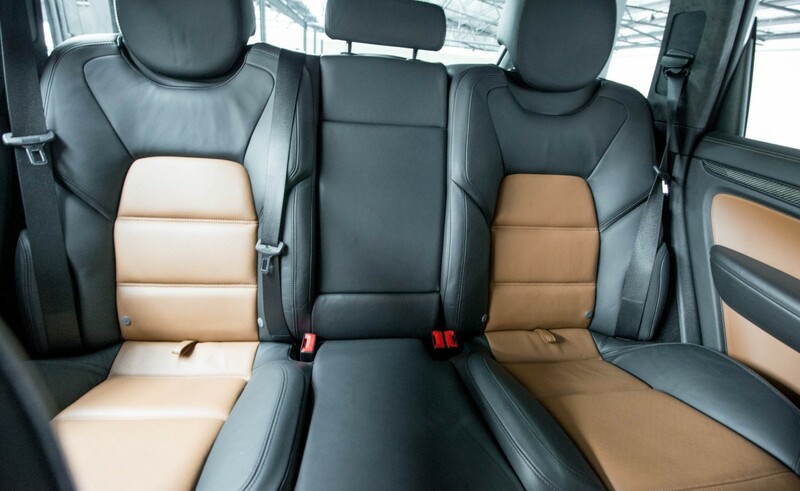 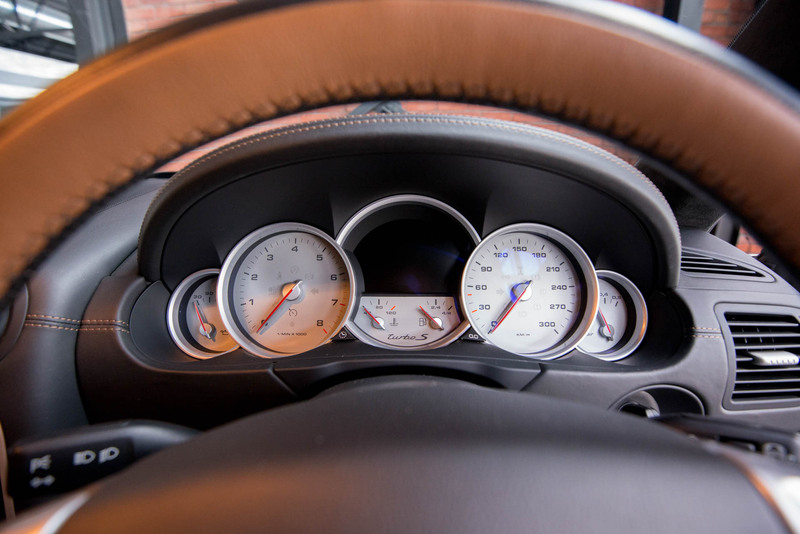 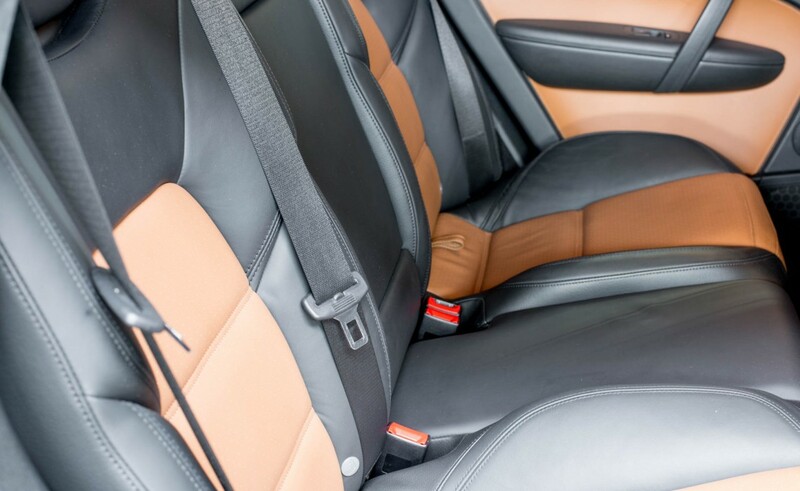 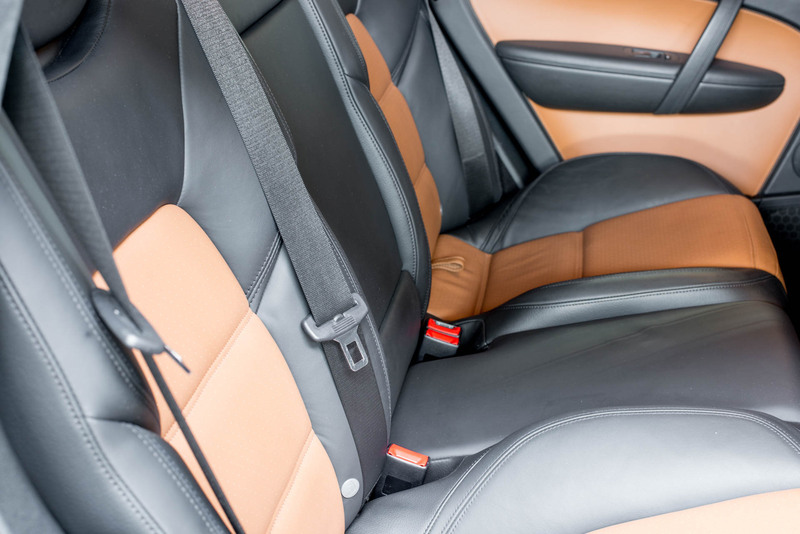 There are plenty of extra features inside the cabin - sports seats with memory, carbon trim on the dashboard and door, exclusive leather interior with a leather bound and padded steering wheel. 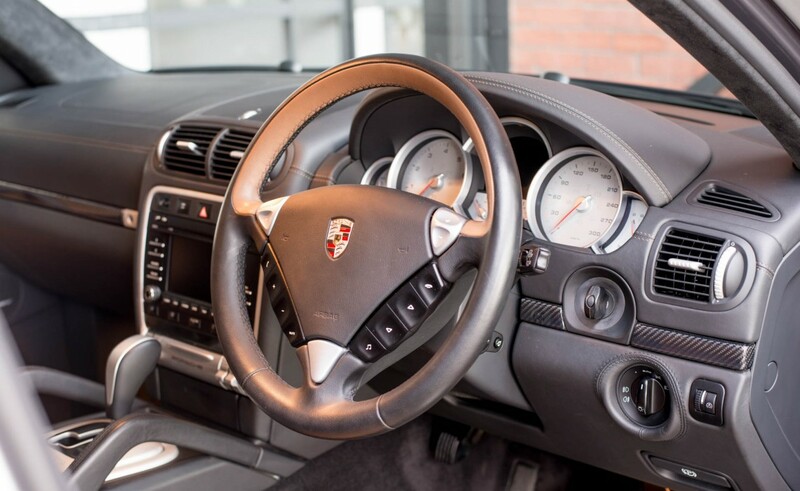 One owner with full local Porsche Centre service history. 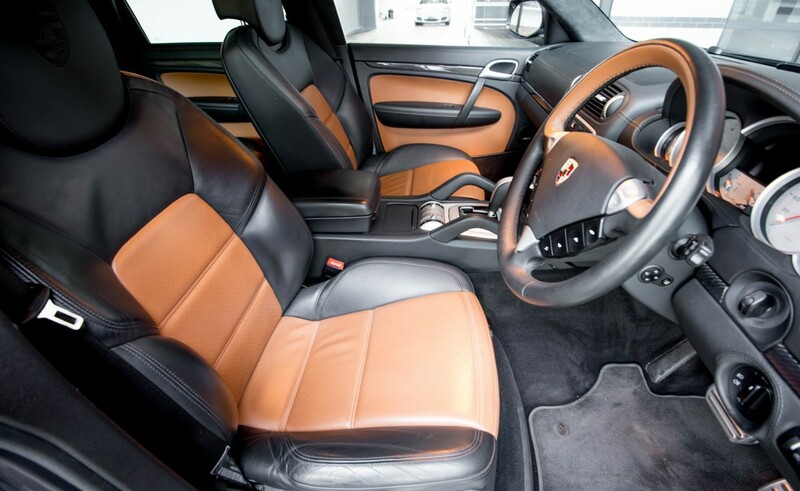 Original paint (exclusive option Lava Grey Metallic) with Black Leather/Havannah inserts and nil accident history. 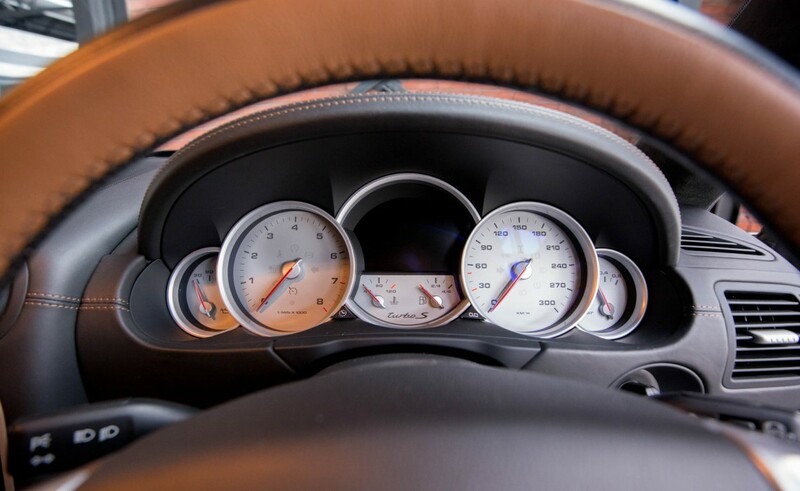 Finance - our broker offers VERY competitive rates and impressive service.